How Far is SRI Vigneshwara Nagar? 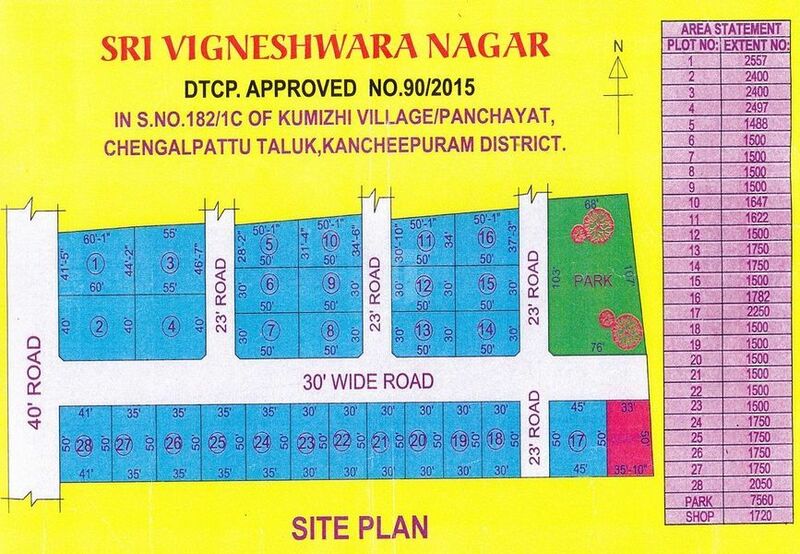 Real Gains Sri Vigneshwara Nagar is one such creation that admires everyone’s dreams. Pictured to perfection and flawless innovations, it brings forth your lifestyle to a new and classic phase. Located at Vandalur, Chennai. A landscaped area with lush greenery and abundant utilities, it also offers you a peaceful life. Tagore Engineering College and IIIDM. Pave way for high returns by investing in MRL Golden Nagar‘s DTCP approved plots strategically located amidst four prominent roads of Chennai that are thriving with development namely Vandulur Kelambakkam Highway, OMR, GST Road and Guduvancherry to Thirupporur Highway at Nallambakkam. The astounding location of this rewarding property with well-developed infrastructure, soaring price rates and good connectivity assures to endow you with reaping returns.